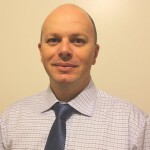 AARON DEBONO is a metallurgist with over 20 years experience predominantly in Gold and Iron Ore. Aaron has held a variety of operational and technical roles within BHPBillitons iron ore operations and international customer focussed technical marketing group. Aaron has worked in most areas of the mining value chain from early resource development through to complex port operations and into customer centric technical support roles. Aaron has completed significant works in metallurgical evaluation and characterising iron ore resources and subsequent process flowsheet design and piloting. Aaron is a Fellow of the AusIMM and sits on the Standards Australia committees involved in developing and maintaining Australian and International standards relevant to iron ore chemical analysis, sampling and physical property determination. 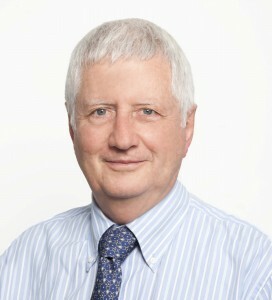 WARWICK DAVIES Experience spans over 45 years in the resources sector and involves the provision of commercial and technical marketing advice, expert witness services, assessment and oversight of iron ore and other mineral projects both within Australia and overseas. As an Industrial chemist and economist, Warwick’s responsibilities range within large, medium, and small organisations including laboratory management, operations management, independent consulting services through to executive management and director roles. Large company experience includes: BHP, North Limited, Robe River Mining Co and Rio Tinto whilst medium company experience includes Mount Gibson Iron and Atlas Iron Limited. Expert witness experience extends to the provision of advice to legal firms both in Australia and overseas for national and international litigation arbitration and tribunal hearings. Activities as an expert witness (since 2013), includes the provision of expert reports as well as experience under legal cross-examination. Since 2009 with Ferrum Consultants, Warwick has provided lead consulting, Master Class delivery and expert witness roles for over half of Ferrum’s +40 individual clients.